Make The Meeting Rooms your next meeting place! 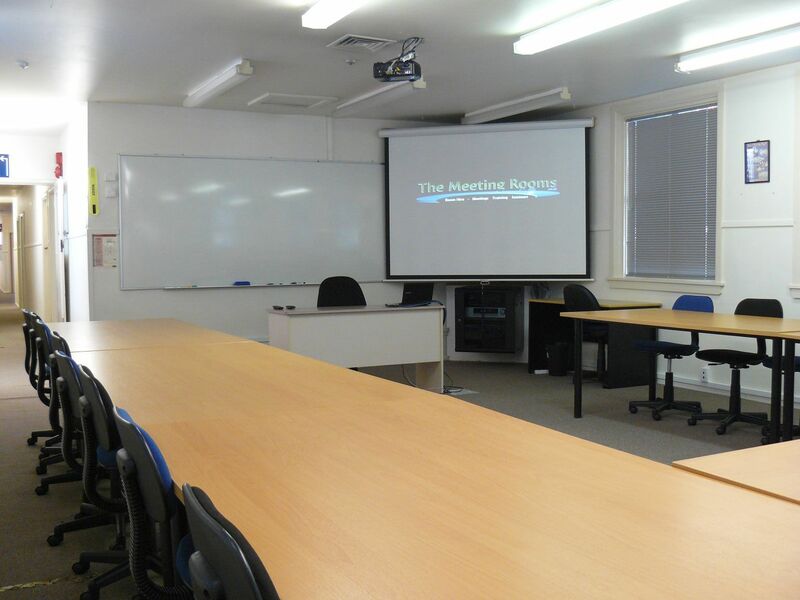 rooms are equiped with projector, whiteboard, DVD, sound and internet for no extra charge! Our rooms are ready and waiting! Rooms are available from half a day to long term hire. Please check out our rooms for suitability, room rates for prices and contact us with any questions or bookings. Thank you for your interest in The Meeting Rooms. We trust you'll enjoy your visit. * In-room computers are in large rooms only and are a Microsoft Windows based PC. Please check this computers specifications against your individual requirements. ** Free parking is limited and on a first come first serve basis. Attendees are encouraged to carpool when applicable to improve the overall parking experience.